The igbok.com site included design, domain registration and host, eCommerce, image management, product inventory, a music player, custom Google Map, product photos, photo submissions, Twitter setup/integration, “brand” consistency concepts and more. This was my first site done in WordPress. Though a learning experience for me, I thoroughly enjoyed it. During igbok I learned CSS, HTML, and some deeper elements of the Creative Suite by Adobe that I had worked in before but hadn’t fully developed. igbok.com – it's gonna be o.k. 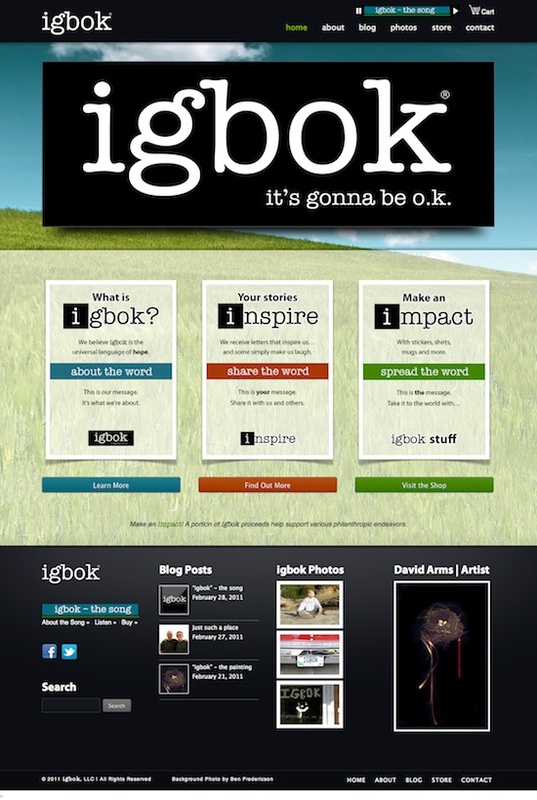 "We believe igbok is the universal language of hope." The black igbok sticker was first given out in 2009. Now thousands of stickers later, the word “igbok” has become global.